Busys.ca has over three decades of providing award-winning customer service to our Toronto customers. Our dedicated team is always on hand to answer any questions you might have so that you can be sure that you’re getting the right printer for the job. We make customer satisfaction our top priority to ensure our customers always feel like they are getting exactly what they need. We know that investing in an office printer, either a rental or to buy, is an important business decision. That’s why our staff are experts in comparing printers and copiers across different categories so that you understand all of your options. We discuss your business goals and walk you through all of our flexible options until you find the printer that meets your needs. Whether you are after a general overview of our printers capabilities or an in depth discussion of print capacities and output, our knowledgeable Toronto based team is there to help. Once you have selected your perfect printer, our skilled technicians will deliver and install it straight to your office whenever it suits you. When it comes to rental printers in Toronto, Busys.ca has been trusted for over 35 years to provide industry-leading customer service. We pride ourselves on only offering Ontario the best range of office printers. We have partnered exclusively with industry leaders like Toshiba, Konica Minolta, and Canon to ensure that we maintain the highest level of quality when it comes to our products. We know that businesses in Ontario demand flexibility when it comes to their business. That’s why we offer customizable printer rental and leasing plans to give our customers complete freedom. 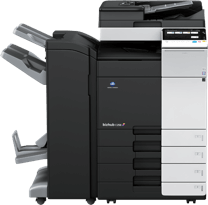 Multifunction printers and copiers offer a full suite of business functions that are crucial to office productivity. From high capacity and output, to enhanced scanning and fax capabilities, we are guaranteed to have the printer that meets your needs. Ontario is the business capital of Canada, and we are proud to offer only the highest quality multifunction printers and copiers to our discerning customers. We also offer a comprehensive range of production printers designed to meet the needs of the modern business. 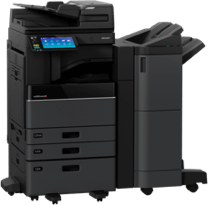 With leading brands like Toshiba, Konica Minolta and Canon, our customers can be sure that they are receiving the best machines on the market. We also offer a selection of desktop and small footprint office printers for small to mid-sized businesses in Ontario. Coupled with our range of Francotyp mailing machines, our customers can create a fully customized printing solution that works for them. Flexibility is key when it comes to investing in a printer or photocopier in Toronto. For many smaller and medium-sized companies, efficient cash flow is crucial to maintaining a productive business. Busys.ca is proud to offer a range of rental and leasing options to meet any financial need. We know that purchasing a printer can be a significant investment, so our passionate team will discuss every leasing option with you until you are completely comfortable with your new printer. Leasing a printer in Toronto can be a smart business decision for many companies. Leasing allows you to get the complete functionality and increased productivity that comes with a multifunction printer and copier without the large investment. With flexible terms and rates, we are confident we will have the leasing option that best suits your business goals. 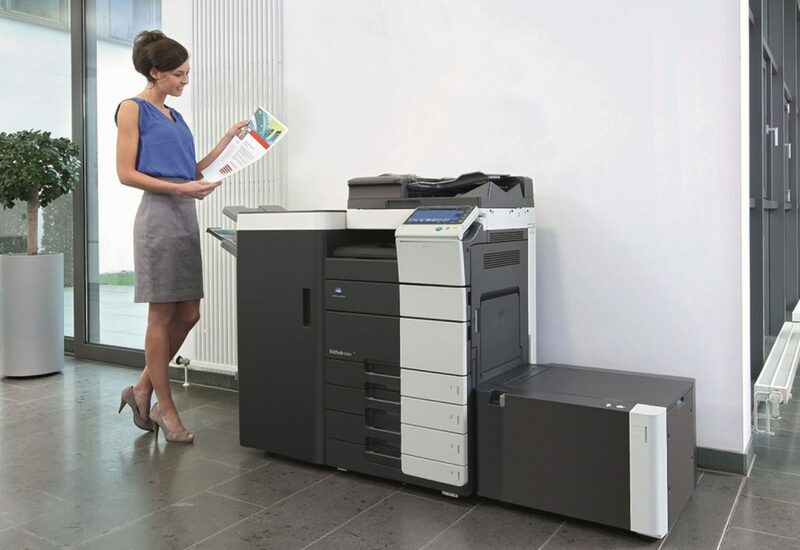 Some occasions call for a shorter term printer rental, such as a product launch or conference. Busys.ca also offers a selection of short term rental printers and copiers for our Toronto customers to help them meet their deadlines. Simply contact one of our friendly team members and we will help you find exactly what you’re looking for. Multifunction printers and copiers are some of the most complex consumer level machines used in business today. Offering so many different functionalities at high output speeds and with seamless integration requires expertise and efficiency when it comes to maintenance and repairs. We offer all of our rental printers a comprehensive support contract that means an experienced technician is only a phone call away. Our award-winning “Cost Per Print” service package means our Ontario customers a fully covered for anything they might need. Having to order and replace toner can break your workflow and have an impact on your team’s productivity. Busys.ca offers regular toner replacements whenever you need them to ensure you can keep producing. Should your printer experience any kind of technical issue, a quick call to Busys.ca will have an expert on your doorstep in 3 hours or less. Our service agreement also covers all forms of repair, labour, warranty and retrofitting. Printers and copiers can be some of the hardest working machines in your office. That’s why we only offer certified replacement parts from Toshiba, Konica Minolta and Canon as part of our support. Our helpful staff are also available over the phone to assist our Ontario customers with anything they might need. Busys.ca has been building partnerships with Toronto businesses for over 35 years. Our dedication to exceptional customer service and award-winning technical expertise has given us a loyal following of returning customers. We pride ourselves on our customer’s satisfaction and our commitment to finding the best printing solution that meets their needs. The industry is constantly changing to make room for new technological advancements that enhance productivity. 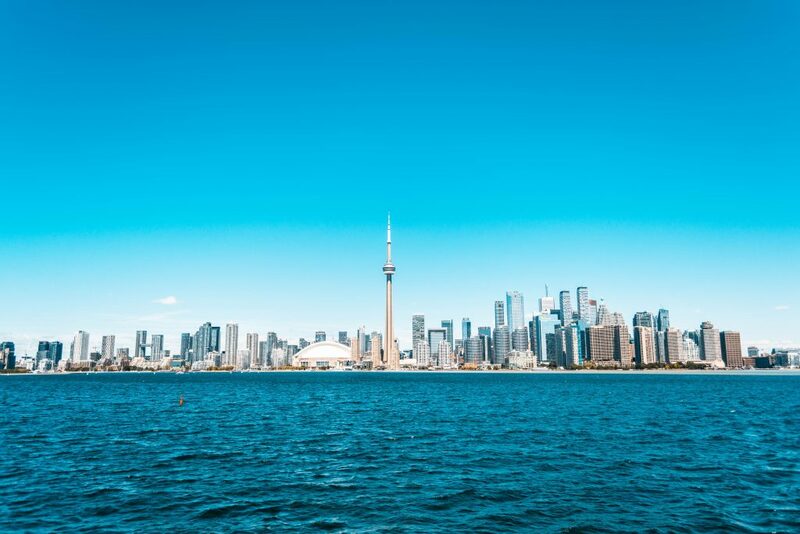 We make it a top priority to constantly update our offerings to ensure we are only providing the cutting edge technology our Toronto customers have come to expect. We are passionate about lowering business environmental impacts, which is why we are focused on partnering with only the most efficient and eco-friendly printing brands. Busys.ca is dedicated to giving back to the Toronto community that has provided so much for us over the past three decades. Since 2013, we are proud to have contributed over $110,000 to Parkholme School for children living with autism. Building a stronger and more inclusive Toronto society is at the foundation of what we believe in.